Want to look and feel more confident? Most of the people who come on my presentation skills training courses suffer, to some degree or other, with a fear of public speaking and would dearly like to feel more confident. "I get this tremor in my voice and it gets worse the longer I speak." "When I speak in public I always blush so much that my face goes bright red." "When I am stand up to speak my mind goes blank and I can't string more than two words together." The funny thing is that when they present during the workshop, I and the other participants never seem to see the extreme behaviours they describe. In fact, the majority of them look and sound reasonably confident and speak with a surprising degree of fluency, especially when I ask them to talk about something that they know about. When we tell them this, they have a hard time believing it. It appears that most people's self-perception of their ability to speak is vastly different from that of their audience, and not in a good way! And guess what? The more they focus their attention on their supposed shortcomings, the more likely they are to make the very mistakes they fear. Psychology tells us that our thinking drives our emotions, which in turn trigger our behaviours. This so-called Think, Feel, Do model explains our observed experience that, the more we think about our shortcomings, the less confident we feel and the more we show low confidence behaviours. In other words, it becomes a vicious cycle which disempowers us. This is what American self-development guru Tony Robbins calls "Stinking Thinking!" Transformation starts once you begin to accept the possibility that you may be more confident than you think you are, and three things happen surprisingly quickly. You stop beating yourself up for your perceived failures quite so much. When my students do this, they begin to speak more naturally. They make more eye contact, and they start to enjoy themselves! In other words, you reverse the flow and create a virtuous cycle instead! Have you experienced this kind of shift in mindset? If so, please share your experience in the comment box below so that other people can benefit. Have other people ever told you that you look and sound more confident than you feel, but you have discounted their comments with the thought "They're just saying it to be nice." If you have, could you be open to the possibility that they are actually being honest and that it is you, not them, who is deluded? 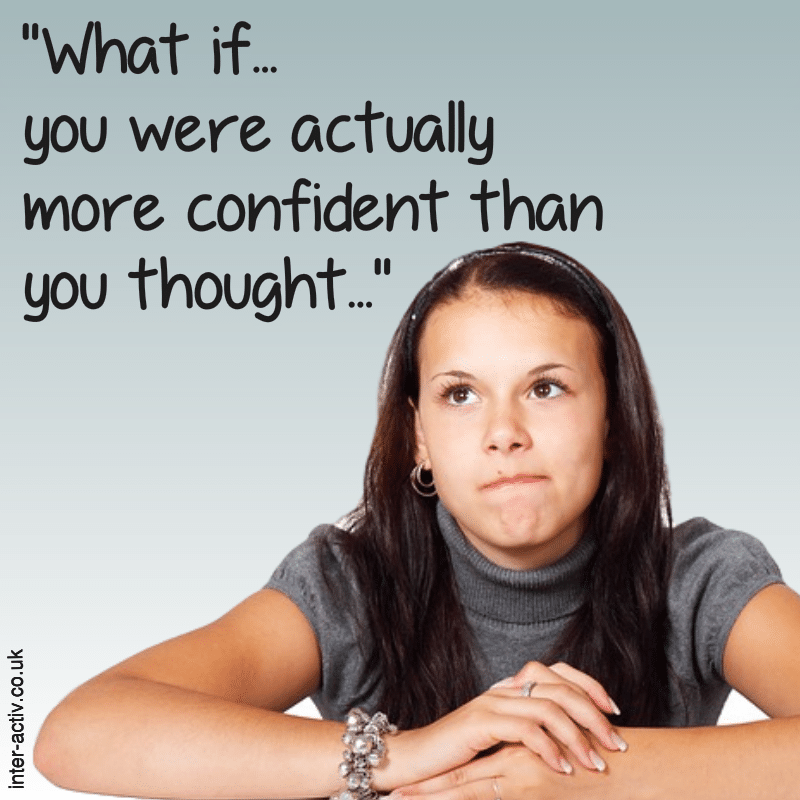 Try on the thought "Perhaps I am more confident than I thought I was" for a few days and see what happens. I think you'll be pleasantly surprised! Just enter your first name and email and you'll receive a download link to my FREE presentation structure guide. PS. We NEVER share or sell our list with ANYONE!